A Mystery Novel series with Romance. Read more about these 3 books and win the e-books by entering the rafflecopter. 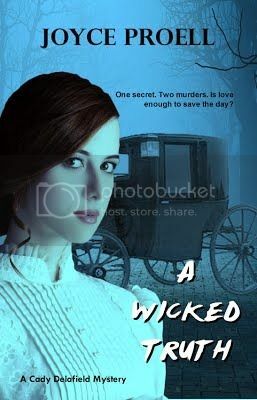 When Doyle Flanagan finds two strangers in his library—one dead and the other the beautiful but meddlesome Cady Delafield, his life begins to unravel as all clues point to him for the murder. 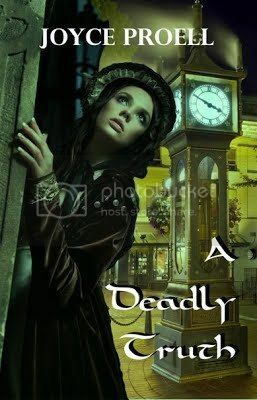 As the sexual tension sizzles and Victorian conventions crumble, Cady risks job, reputation and family ties to help him clear his name. But even as his life hangs in the balance, his passion for her drives him on, but will the truth about him be the one thing to scare her away? In 1881, the air in Chicago is rife with worker discontent, yet business titan Doyle Flanagan is hopeful for the future. He looks forward to a lifetime of peaceful bliss with Cady Delafield and leaving the wretched past behind. But his life is once again thrown into disarray when his office is vandalized and the night watchman viciously murdered. Clues lead to a powerful organized labor movement. Targeted in the press as anti-labor and with a big rally staged next door to his offices, Doyle must uncover the culprits before his wedding plans and his livelihood go up in smoke. Plagued by memories of four brutal deaths, school director Cady Delafield is determined to drive the recent tragedies from her mind and enjoy being courted. Although his commanding personality threatens to overshadow her, Doyle Flanagan is the most dynamic man she’s ever met. When another tragedy unfolds placing him at the center, she takes action—action that could shatter her future dreams. The wedding date is set, and life is magical for Doyle Flanagan and Cady Delafield. Honor bound to repay an old debt, Doyle agrees to help an old friend find her sister. As he searches for the girl, painful memories surface, stunning Cady when she discovers facts about Doyle’s hidden past. In spite of incredible odds, Cady and Doyle’s love has flourished. But in the midst of a life threatening accident, murder, and Doyle’s secrets, their wedding date and happiness are in jeopardy. Mired in tragedy, can they overcome the turmoil with a fateful decision that changes their future forever? 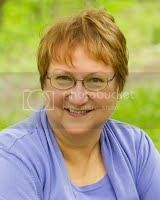 Joyce grew up in Minnesota and attended college and grad school in Chicago. After working in mental health, she retired at a young age to write full-time. Her first book, Eliza, was published in 2012. 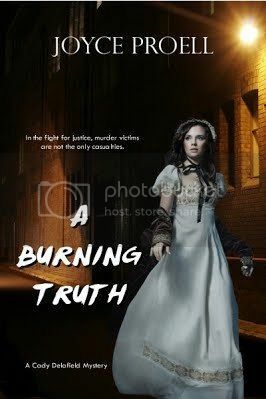 The Cady Delafield mystery series followed next with A Deadly Truth, A Burning Truth and the last, A Wicked Truth published in September, 2015. When she isn’t writing mysteries or historical romances, she loves to swim, walk and is a crossword puzzle fanatic. She and her husband live in Florida and Minnesota, in her very own little house on the prairie.